If you are looking for fresh ideas for tasty, healthy food to cook when time is tight, you’ve come to the right place. 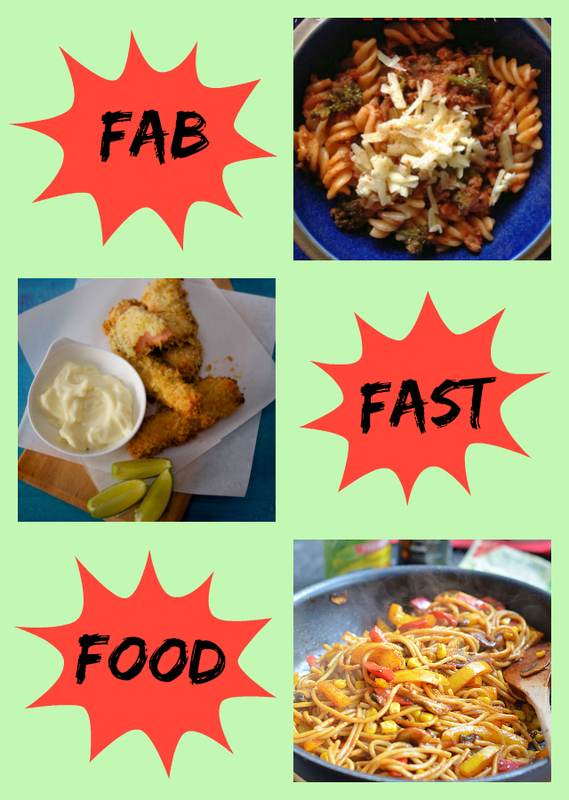 Our latest Family Foodies challenge has attracted a brilliant array of fab fast food recipes for feeding your hectic, hungry family and I have to say I’m really looking forward to working (and eating) my way through this little lot over the coming weeks. Julie gets things rolling with a tempting trio of Italian-inspired dishes from her Farmhouse Kitchen. She made a hearty bowlful of Gnocchi with Chorizo, Spinach and Tomato Sauce, a quick and easy Creamy Pesto Pancetta, Peas and Mushrooms with Spirali Pasta, and Spaghetti with Mushroom, Spinach & Pancetta Sauce. I made this last dish, the spaghetti, for supper the other week and I can confirm it really is very good. 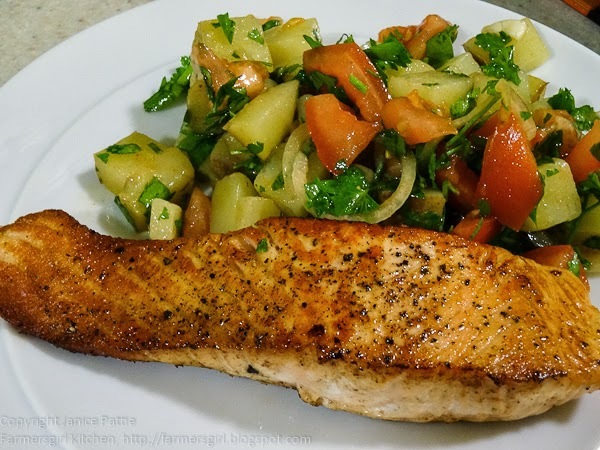 This beautiful dish of simply cooked salmon served with a fresh and zingy potato salad from Janice at Farmersgirl Kitchen has springtime written all over it, and what’s more it is so quick to rustle up too. It looks so inviting, doesn’t it? Linsy from Home Cook Food brought an exciting assortment of dishes to our Fab Fast Food buffet. There’s a beautifully spiced Methi Vegetable Malai, a protein-packed Kala Chana Aur Methi Curry (black chickpeas with fenugreek leaves), fragrant Mint and Coriander Leaves Paratha (flatbread), a robustly flavoured Bruschetta Pasta and last, but not least, this very tasty Eggplant Rice. I’m so inspired by Linsy’s use of spices in these dishes and I look forward to trying them out on my brood. Sylvia’s photographs on her blog Happiness is Homemade are always utterly gorgeous, and these pictures of her simple take on a stir-fry live up to her usual stunning standard. Don’t you just want to dive straight into this image of whole wheat spaghetti with vegetables? You just know it’s going to taste every bit as good as it looks. Another blog where I always wish I could climb into the screen to sample the food is Elizabeth’s Kitchen. Elizabeth can invite me around any night of the week to eat pasta as attractive as this! Quick, healthy and delicious – just perfect. These gluten-free coco-banana bites were the brilliant result of an “over-ripe banana fest” in the kitchen of Kate aka The Gluten Free Alchemist. These little morsels of fruity, frozen deliciousness are ever so healthy, particularly if you opt for carob, although to be honest I think I’ll quite happily stick with chocolate. Not only are they made in minutes but they keep in the freezer for ages, perfect for a handy snack when life gets manic. My Family Foodies partner-in-crime, Lou from Eat Your Veg is up next and she really is a pro when it comes to healthy fast food. Just take a look at this little lot – there’s a super speedy Chicken & Veggie Chow Mein, a Healthier Tuna Mayo and these simply wonderful Bread Tarts, which I so wish I’d thought of myself and intend to try out on my kids very, very soon. Helen from Family-Friends-Food knows a thing or two about creating child-friendly food, and these two offerings to our Fab Fast Food table demonstrate how just easy it can be to rustle up delicious food in a matter of minutes. Her Zesty Tuna Pasta has a wonderfully Mediterranean feel to it and is great eaten either warm or cold, while I reckon these French Toast Pizza Rolls are simply ingenious. Next are three dishes from yours truly, each of which are super quick and super easy. Oh and super tasty too. Firstly, there’s my Baked Rice with Spinach, Cannellini Beans and Eggs using basic store cupboard ingredients. Then there’s a Chicken Soup with Rice, perfect for feeding little (and big) people when they’re poorly. And finally, how about Baked Sea Bass with Ginger, Garlic & Chilli and Miso Rice – an incredible combination of fresh, zesty flavours and all cooked in a foil parcel, keeping washing up to a minimum. Result. Linzi from Lancashire Food brings us her gorgeous chicken chow mein, on the table within just 30 minutes. It’s always a hit with her own family. Linzi’s recipe features Chinese five spice, one of my favourite spice blends, and is perfect for using up whatever veggies you happen to have in. Another quick and easy recipe making the most of store cupboard ingredients is this satisfying hot dog pasta from Ness at JibberJabberUK. My children adore hot dog sausages so I know they’d be first in line for this dish, plus I like Ness’ top tip about throwing in some finely chopped broccoli stalk too – a great way to reduce your food waste. Another way to reduce food waste of course is to make the most of your leftovers, which is what this tasty noodle soup from Corina at Searching for Spice calls for – leftover beef brisket to be exact. Packed with vegetables and flavoured with chillies, garlic, lime and ginger, this is definitely my kind of soup. These salmon goujons from Katie at Feeding Boys look just so tempting, I really can’t imagine any child refusing these. Katie promises they only take 10 minutes to prepare and 15 minutes to bake and in her words “you’ll be rewarded with luxurious chunky goujons instead of the skinny minnie versions that come out of a packet when you’re knackered on a Thursday evening.” That’s it. I’m sold! I must admit, I had to Google the work ‘tikki’. I discovered from Wikipedia (where would I be without Wikipedia?) that it means “a small cutlet or croquette” and hails from North India. Normally made from potato (aloo tikki), Vidhya from My Receipes has come up with her own take which also uses quinoa and frozen peas. Flavoured with a whole host of spices, these tikki sound absolutely delicious. Nasifriet from The Taste Space is midway through a 30 different vegetables in 30 days challenge. She needed to come up with some not-so-common vegetables and so headed straight for her local Asian grocer and came home with baby bok choy, which she turned into this wonderfully healthy and attractive stir fry with shiitake mushrooms, snow peas, edamame and miso. It sounds incredible to me – divinely simply temple food that you know is going to do you so much good. Choclette from Chocolate Log Blog promises these scrummy banana and mincemeat buns can be rustled up in under half an hour, so long as your butter is soft and your ingredients handy. I’m ready for that challenge! We always seem to have ripe bananas in our house, so this recipe is definitely one for me to bookmark. As Laura from How to Cook Good Food says, you can never have too many flatbread recipes up your sleeve. As well as offering us her herb and tapenade flatbreads, she also shares a fantastic list of her favourite flatbread recipes from other blogs. So if you’re in need of flatbread inspiration, you know where to head! Laura’s version looks fantastic – it looks delightfully light and crispy and I love the use of fresh herbs and dukkah, a fabulous Middle Eastern spice mix. Thanks to everyone for sharing their fabulous fast food ideas in this month’s Family Foodies challenge. 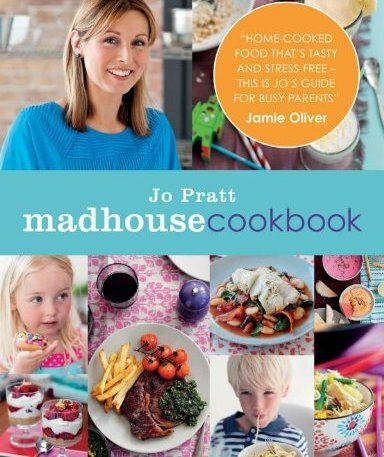 Each and every one was a real winner in its own right, but as ever only one of you can take home the prize of Jo Pratt’s inspirational Madhouse Cookbook. I’m pleased to announce the winner of the Fab Fast Food challenge is Elizabeth from Elizabeth’s Kitchen Diary for her very tasty beef and broccoli pasta. Well done Elizabeth! Your prize will be in the post to you very soon. Great round up – some lush ideas in there I shall definitely be sticking on my meal plan next week! Lovely round up. I will definitely need some fast meals to make in the next few months as I’ll have a new baby to look after as well as a toddler. Lovely dishes!!! Must make some salmon goujons!!!!!! Lovely round up Vanesther and so many inspiring meals (and puds) in minutes ideas, many of which I shall be bookmarking. Great winning recipe, well done Elizabeth. 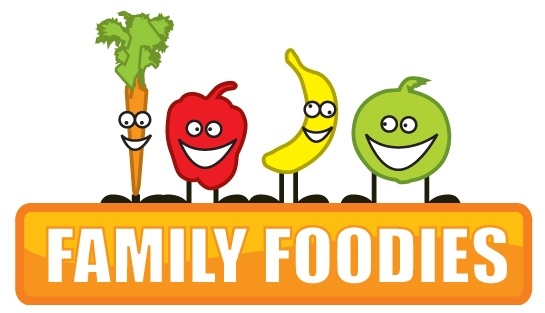 Watch out for April’s Family Foodies, hoping to post it tonight! Fab round up Vanesther , I must get cooking for the April one! I like your round up V. I can’t even decide which is my fav dish. Loving those banana and mincemeat muffins from Choclette – I found a jar in my cupboard this week and thought um what I can I do with that that’s not Christmassy! Now I know! What an amazing resource! Am bookmarking for nights of no inspiration! I’m going for the muffins too…naughty choclette, she always tempts me! What a lot of delicious recipes, really enjoyed the way you presented them. Thanks for hosting Vanesther! It was a pleasure to take part 😉 So many delicious recipes to try out!